Long sleeve fitted dress for Little Ladies. Lovely with Longies, Leggings and Tubes. Comfortable and easy to dress – buttons on both shoulders in the smaller size, no metal, no nickel. 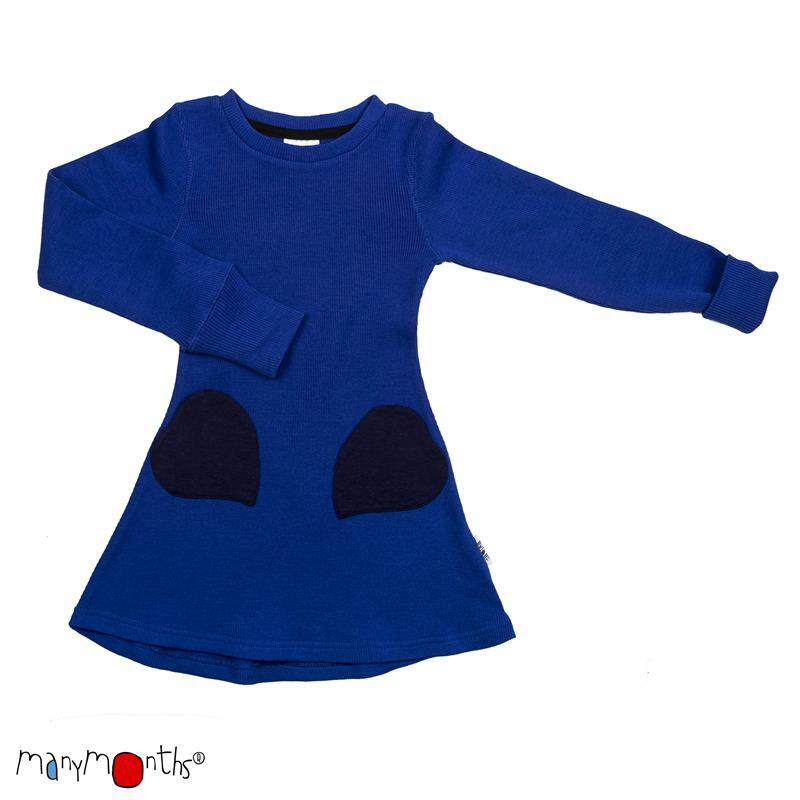 Grows with the child in the ManyMonths way; designed to be used first as a long dress and later as a tunic, foldable cuffs at the sleeves. With this dress no thermal underwear is needed. 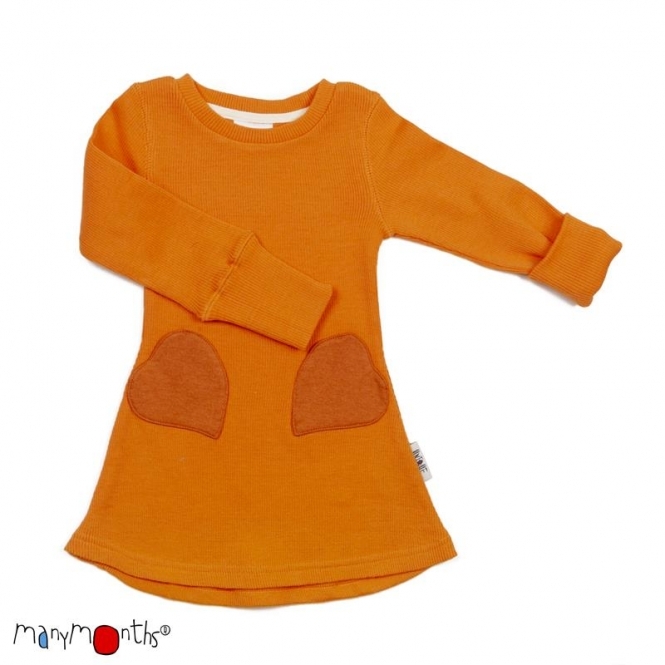 The naturally curly merino wool fibres trap air, and baby will feel wonderfully warm even in the coldest weather. 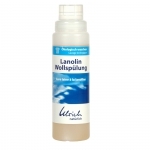 Woollen wear help to adjust body temperature keeping it optimal by matching temperature and moisture on the skin. Worth mentioning is the flame and dirt resistance of wool. 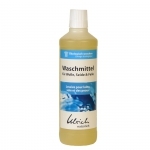 Ulrich natürlich for wool and silk 500 ml | . 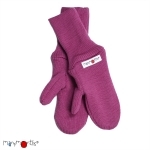 ManyMonths Natural Woollies Repair Kit FrostedBerry/Majesti | .